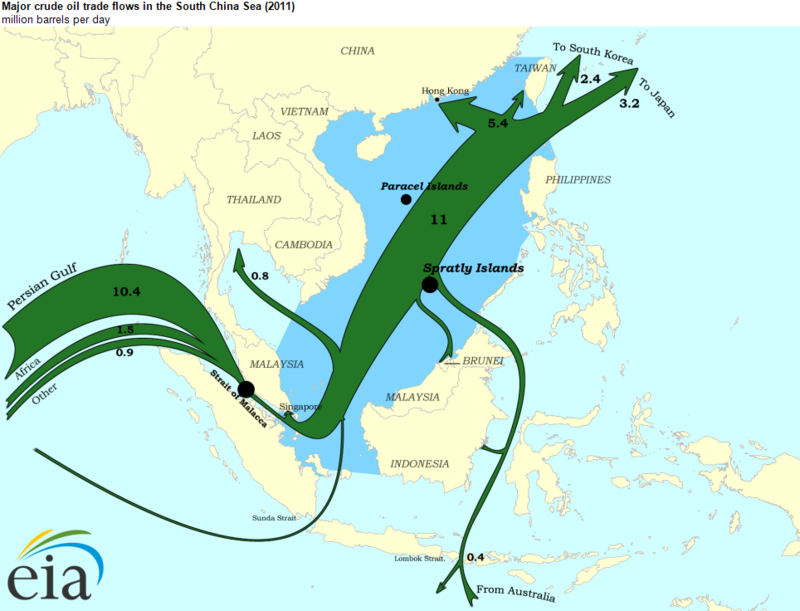 EagleSpeak: Philippines Piracy: China, U.S. and Japan to Assist Philippines? Philippines Piracy: China, U.S. and Japan to Assist Philippines? The Republic of the Philippines sits on major sea lines of communication (SLOCs) which makes those nations that use those SLOCs have a vested interest in keeping them open for use for ships to transit them free of action by pirates and/or terrorists who would disrupt the flow of goods and petroleum on these SLOCs. The Philippines is seeking US and Chinese help to guard a major sea lane as Islamic militants shift attacks to international shipping, officials said on Wednesday. 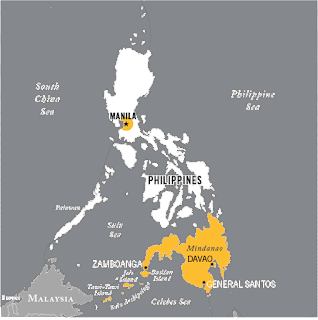 Manila does not want the Sibutu Passage between Malaysia’s Sabah state and the southern Philippines to turn into a Somalia-style pirate haven, coastguard officials said. The deep-water channel, used by 13,000 vessels each year, offers the fastest route between Australia and the manufacturing powerhouses China, Japan and South Korea, they added. In the past year Abu Sayyaf gunmen from the southern Philippines have boarded ships and kidnapped dozens of crewmen for ransom in waters between Malaysia, Indonesia and the Philippines, raising regional alarm. Indonesia has warned the region could become the “next Somalia” and the International Maritime Bureau says waters off the southern Philippines are becoming increasingly dangerous. Japan has offered to send patrol ships to deal with a growing piracy threat in the southern Philippine waters bordering Indonesia and Malaysia, a senior Philippine defense official said on Tuesday. A surge in piracy off parts of the southern Philippines is forcing ship-owners to divert vessels through other waters, pushing up costs and shipping times. Dozens of sailors have been taken captive by Abu Sayyaf. Japanese vice minister Ro Manabe offered the assistance at a meeting in Tokyo on Friday and expressed readiness to contribute to efforts by the Philippines, Malaysia and Indonesia "in addressing piracy and terrorism", said Raymund Quilop, assistant defense minister for assessments and international affairs. A senior Japanese defense ministry official, however, gave a different account of the Tokyo meeting and said no offer of patrols was made to the Philippines, just "capacity building". Leaders from the two countries agreed last fall that Japan would give the Philippines high-speed small boats for its counter-terrorism efforts, but it was not clear if that was part of the apparent offer made by Manabe. I don't think any of the nations that are mentioned have any desire to see the ROP actually fall into full failure mode and they surely want to have this affected SLOCs clear for normal merchant transits. Total Australian Official Development Assistance (ODA) to the Philippines will be an estimated $81.9 million in 2016-17. Our economic partnership with the Philippines will focus all elements of our trade, investment and aid initiatives working together to promote growth. Australia delivers targeted advice and technical assistance that aims to have a catalytic effect both on reform efforts and capacity development of the Philippine Government. Given the Philippines’ current positive economic position we will shift focus from basic service delivery, such as classroom construction, towards supporting the Philippine Government to better manage its own resources. The strategic direction of Australian aid to the Philippines is informed by the Australian Government’s development policy Australian aid: promoting prosperity, reducing poverty, enhancing stability; Australia’s national interests; by our ability to add value; and our previous development results. Australia’s aid will align with the priorities of the Philippines Government which is seeking to put the country on the path of accelerated and inclusive development. The Philippine Government has had an ambitious reform agenda in recent years to tackle poverty, improve governance and address corruption, while pushing through important social sector reforms, including education, and promoting peace in the Southern Philippines. UPDATE: Fixed a portion that was somehow turned into gibberish when first posted. Labels: Australia, China, Japan, Philippines, Philippines Pirates, Philippines Terrorists, South China Sea, Southern Philippines, U.S. I'm not a LCS fan, but with all the islands in the Phillipines, wouldn't this be a good area for LCS to help out with anti-piracy? Just a reminder . .